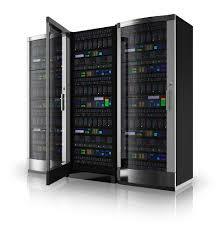 Server and workstation installations and maintenance, Network Area Storage, routers, firewalls and switches. 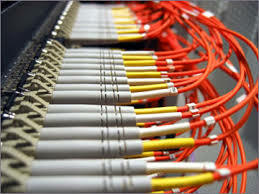 We can help maintain your existing network and we can help with new installations. Cabling for both data and legacy phone systems. Cabling closet a nightmare, we can install racks, patch panels and cable management. Locate and label existing runs. Connecting remote equipment and facilities. Fiber is not susceptible to indirect lightening strikes or static charge. Cable can span the distance that Cat5 and Cat6 cable just can't reach. Call us for your indoor or outdoor projects. 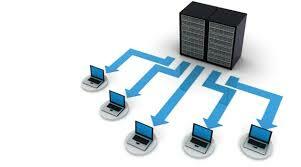 Simplify network management with Virtual Desktop or VDI. Reduce your cost with thin client stations. Scale your wireless network from one to hundreds of access points. Even add a guest network on a totally secure separate network to access the Internet. 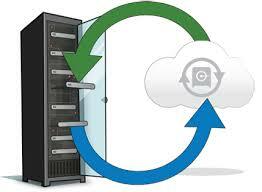 A Virtual copy of your entire Server backed up locally and in the cloud. Spin up a copy of your entire server in seconds . . . not minutes, hours or even days!